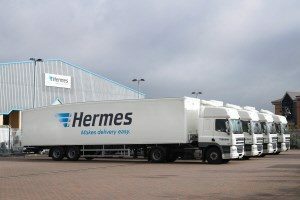 The Cartwright Group has won a major fleet contract with parcel delivery company Hermes to supply 244 box vans and seventy tractor units, 40 using Euro 6 diesel engines and 30 using Compressed Natural Gas (CNG). The deal is part of Cartwright’s ambition to expand its fleet management and contract hire business – Cartwright Fleet Services (CFS) – and comes with ongoing maintenance for five years. As well as the 244 specialist parcel vehicles, the agreement represents one of the largest orders in the UK for natural gas-powered vehicles with 30 of the Iveco tractors fuelled by Compressed Natural Gas. The fleet will be maintained by CFS through its nationwide network of service centres.